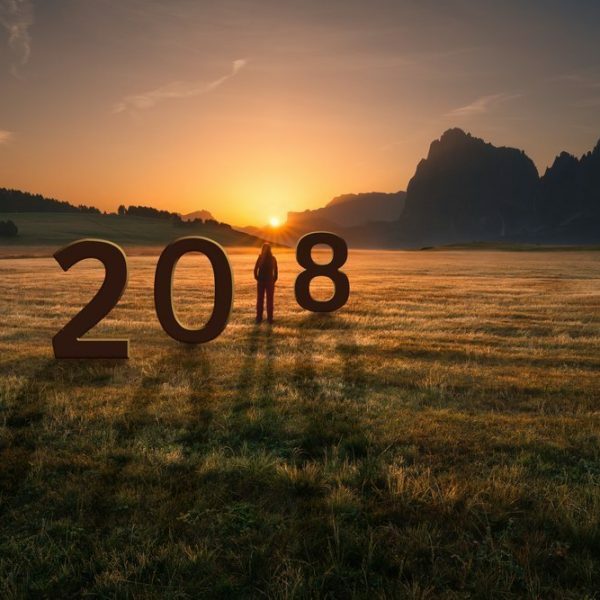 The New Year is almost upon us, and like many, we tend to set our targets and ambitions for the year to come in the form of New Year’s Resolutions. If you start to peel back some of the most common resolutions that we tend to set, such as ‘I want to lose weight’, ‘I will see my family more’, ‘I want to quit smoking’ and even ‘I’m going to focus on saving and not spending’, there is a general trend that underpins them all: being healthier and happier. So perhaps when the dinner conversation turns to 2019 and it’s your turn to state your resolutions for the 12 months ahead, instead of targeting specific goals, focus instead on those two key words in general. Healthier, happier. It can be easy to just state that in 2018 I want to be happier, or next year I want to be a healthier version of me, but there need to be some goals that underpin how that initial ambition will be met. So how can you set goals that will really benefit you next year? The first step is to make them achievable. Yes, this sounds like obvious advice, but there’s a physiological reason for it. The body’s dopamine system is central to feelings of reward, and the chemical itself is released when we achieve. This positive reward for the brain happens when we reach our goals and targets and sets out a motivation to repeat the action that caused the dopamine system to act. So when you hear that setting achievable goals is beneficial to our health and wellbeing, it really is true. This means the types of goals you set are associated to your happiness. You know what you want to achieve and you know the body’s response to when we achieve. So to trigger dopamine release on a regular basis, we need to set regular, even daily goals that combine to help move us towards the year’s ultimate targets. Physical wellbeing: Each day I will take the stairs instead of the lift on at least one occasion. Friends and family: Each day I will message a friend or family member asking how they’re doing. Work and money: Each day I will move a small amount of money into a savings account, even if it’s just £1. Mental health and learning: Each day I will actively learn something I didn’t know before. Spiritual self and awareness: Each day I will recognise something positive about myself and something I’d like to improve. Culture and community: Each day I will aim to do a small, good deed for someone, and recognise when I have. Each of these actions combines to move us towards that ultimate goal for 2019 and as such, mean we’ve achieved a small goal each and every day. Yes, New Year’s Resolutions tend to fall by the wayside before February even begins. But if you plan to stick with it, to really aim for a healthier and happier life, then these small daily steps are one of the best ways to achieve it. Wishing you a very Merry Christmas and a happier, healthier New Year from Step 1 Recovery!